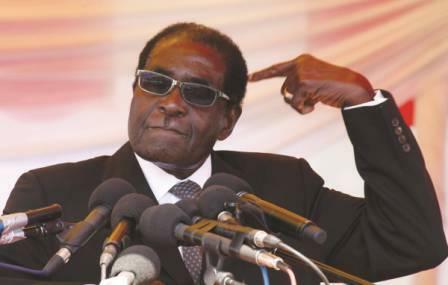 Zimbabwean President Robert Mugabe’s $6mn vacation in the Far East is set to drain over $6mn. Mugabe’s month-long vacation sends one message: Zimbabweans can suffer but that will not deter him and his family from enjoying themselves. The vacation comes at a time when authorities in Zimbabwe are struggling to service the wage bill, while a crippling liquidity crisis has hit the financial sector. Zimbabwe’s former finance minister, Tendai Biti, told a local paper Newsday that Mugabe collects at least $4m from treasury each time he travels abroad and at least $6m he goes on holiday. “Every time the President leaves the country he takes with him $4m in hard cash which in most cases is raided from the RTGS (Real Time Gross Settlement) system,” the paper quoted him as saying. But his spokesperson George Charamba has disclosed that Mugabe would embark on other official trips in between his vacation. “The (annual) leave shall be interspersed with official engagements, including one which is related to the African Union” said Charamba. Despite their continued sufferings, Zimbabweans have been miserably failing to vote Mugabe out of power in several elections. Good news! Zambia’s $40 million credit. With $40 million credit from World Bank, Zambia is optimistic to diversify its economy. THE World Bank Group has approved a US$40 million credit to support Zambia’s economic diversification efforts, Times of Zambia has reported. This will be supported through the Zambia Agribusiness and Trade project which is aimed at helping to increase market linkages and firm growth in agribusiness. The project will cover all 10 provinces of Zambia and that implementation of the activities will commence with the regions that have both high poverty incidences and agro-processing activities. This is according to World Bank senior private sector specialists Brian Mtonya and Tugba Gurcanlar. “Zambia’s growth has been primarily driven by mining, construction, and financial services and did too little to create jobs and expand opportunities beyond the relatively small labour force already employed in these industries,” the duo said. Mozambique is fast establishing itself as a land of political assassinations. Just on Friday, unknown gunmen assassinated a prominent member of Mozambique’s main opposition party, the rebel movement Renamo, in Nampula. According to a report on the independent television station STV, the victim, Jose Almeida Murevete, was a Renamo member of the Nampula Provincial Assembly. Mureveta was killed early Friday morning, when the gunmen attacked his house in an outlying Nampula neighbourhood. Eye-witnesses said that at least 80 shots were fired, and the ground was littered with spent AK-47 cartridges. The assassins stole nothing from the house, making it quite clear that the sole purpose of the raid was to kill Murevete. Strangely, his house is less than 100 metres from a police post and yet no police officers reacted to the sound of gunfire.